ColorThink Grapher: What does bad look like? People who are using the ColorThink Grapher for the first time might not have much perspective on what a gamut is supposed to look like. You might not know a bad profile if you saw it! This tip goes through a range of different problems that we have come across which the ColorThink Grapher is particularly adept at identifying. You can view this at our ColorSmarts channel on YouTube, or in the "Tips and Tricks" page of the ColorWiki. After almost a decade in the color management industry, it's about time they replaced this instrument with a new model. X-Rite today announced that they are coming out with a new i1Pro spectrophotometer: the "i1Pro 2". The first i1Pro I ever purchased goes way back to 2004 - a "Rev A" instrument. There have been improvements in subsequent revs - most notably speed - but the form of the instrument has not changed appreciably even through a major acquisition and merger. 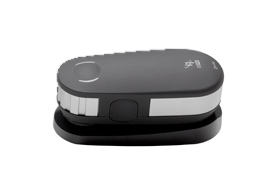 One of the main improvements with this new device is an additional patch detection sensor. This aids in the detection of the space between patches so that the main spectrophotometer head can use more of its measurement information toward more accuracy and better averaging of the patches. It also has two built-in light sources so that it can produce tungsten, D50 daylight and UV-cut measurements, all in the same device, without changing filters. It has temperature compensation and noise reduction for dark patches - two more features we've been bemoaning not having in the previous i1Pro. If you want a killer deal on one of the old i1Pros, you can still get them for a little while yet. CHROMiX has the i1Pro and the new i1Pro 2 available on our website. 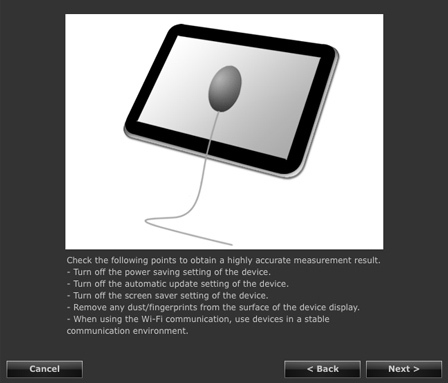 I just discovered that Eizo has added a procedure for profiling tablet displays, phones, etc. to their new ColorNavigator software. They call it Media Emulation. 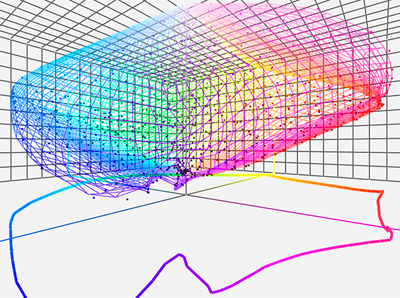 ColorNavigator is the free profiling software that works with their higher-end monitors like the "CG" series. 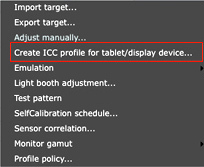 With this feature, you can choose an option for "Create ICC profile for tablet/display device..." and the software will send a series of color patches to a web site that your tablet can access. As you place your measurement instrument on the portable display, ColorNavigator will read the colors and create an ICC profile. Now you have a means of profiling these displays even though you cannot connect a USB measurement device directly to them! You can use the resulting profile to "soft-proof" what your images will look like when they are viewed on these displays. Available on the latest version of ColorNavigator (version 6.1.1).